This year, we have added Singapore as well. And next year we’re off to Japan! These tours are designed to make intercontinental travel as logistically easy as possible. We take you from your doorstep - right across the world - and back. And we organise everything in between. It’s close to home, it’s absolutely stunning and it’s so rich in culture. Sounds pretty good to me! Our New Zealand Ultimate Tour is one of our more ‘up market’ offerings. Enjoy a single seat on each side of the aisle and a smaller group of only (around) 20 people. Stay in lovely hotels and enjoy a bit of luxury. Aside from the great sporting rivalry, New Zealand and Australia are great friends and they certainly welcome us as such. Pictures simply cannot capture how spectacular the natural beauty is. Mt Cook, Bowen Falls, the Fox Glacier, Marlborough Country - they’re all things you really need to see with your own eyes. We love the place, and we think you will too. We ventured to create a new overseas experience this year and we are very excited to go to Singapore in July. We have quite a few Dubbo locals booked in - and they have been very enthusiastic from day dot. 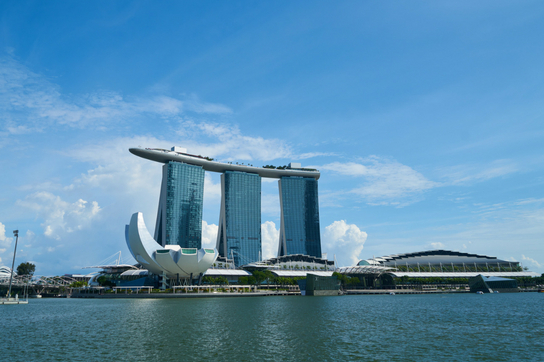 We picked Singapore because it’s somewhere different - and it just has so much to offer. And the Singapore Garden Festival is truly something to behold. Imagine your local flower competition - on a global scale. It showcases designs and floral creations from over 50 designers and 19 countries. Whether you’re into gardening or not - you cannot deny how impressive this is. And of course, the sensational architecture is like nothing you’ve ever seen before. The Marina Bay Sands has been referred to as ‘the greatest building on the planet’ and I can see why. There are special features built in to help keep the thing steady, because it’s so incredibly tall and the wind gusts could cause the towers to sway. To stand in front of something like that and contemplate all the work that went into it is pretty inspiring. It’s all just exciting and different and a bit mind blowing really. It’s why we wanted to take people there. Because we had such a strong, encouraging response to Singapore, we have scheduled another ‘feature’ overseas tour in 2019 to Japan! We are taking a group to this sensational country right in the middle of Cherry Blossom season, so you need to secure your place soon if you want to come with us! Japan is so multifaceted, there is so much to take in. One day you will be standing right in front of Mt Fuji - the next you’re at the Hiroshima Peace Memorial Museum, looking at exhibits that document the horror of that event. It’s very sobering. Our tour covers all the major temples, where you’ll see traditional Japanese culture first hand. I’ve done a lot of travelling in my lifetime, so I can tell you, this place ticks all the boxes. Going abroad and checking out these amazing places that are so different from our own really opens your eyes to how big and beautiful our world is. But it also makes you realise how lucky we are, to live in this spectacular country. After all the adventure, we bring you right back to your doorstep, so you can put your feet up and have a cuppa in home sweet home. If this sounds like something you might like, give us a call - or stop in and say hi!